A spokesman for Dorset’s Endangered Badgers Action group, Barbara Grey, said that this act had been carried out to remind people that the threat to badgers was real and imminent. Fears over the culls have risen after environment secretary Liz Truss announced at the NFU conference that the controversial culls would continue if Conservatives win the General Election. Barbara said: “If the Tories win the election they plan to roll out the cull to Dorset this year.This means that thousands of badgers will be killed for no good reason at all. Scientific evidence shows that culling is expensive, inhumane and above all ineffective. It does nothing to reduce the incidence of bovine TB in cattle. “The Dorset Badger Vaccination group can provide a much more viable alternative, with each animal vaccinated costing only £100, compared with an estimated £5,200 each for culling. A network of dedicated wildlife lovers have officially launched a ‘Badger Watch’ scheme to detect and deter wildlife crime against badgers. 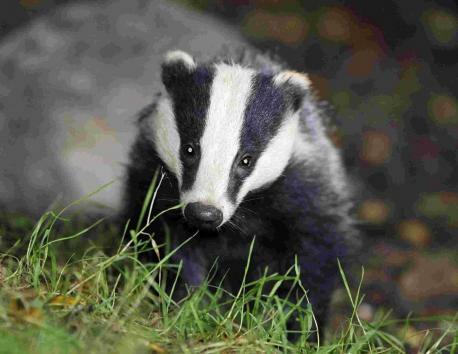 Badger setts across the county of Dorset will be regularly checked for interference during daytime walks, and at night a covert watch will be kept from a distance using sophisticated night-vision equipment. The groups will work within the law to assist the police to prevent wildlife crime and to help the police to prevent and prosecute those who harm Dorset’s wild animals. Volunteers drawn from members of Dorset for Badger and Bovine Welfare will provide intelligence to local Wildlife Crime Officers in a similar way to that of the Neighbourhood Watch scheme. Badgers are fully protected in the UK by the Protection of Badgers Act, 1992, and the Wildlife and Countryside Act, 1981. The Protection of Badgers Act 1992 consolidates past badger legislation and, in addition to protecting the badger itself from being killed, persecuted or trapped, makes it an offence to damage, destroy or obstruct badger setts. Since the government’s unscientific and ill thought out badger cull trials, incidents of persecution against badgers and other wildlife, especially here in Dorset, has been on the increase and Badger Watch aims to counteract this. Lots of ‘Badger Watch Area’ stickers have been appearing all over Dorset already and even parts of Somerset. If you see one please send us a photo! 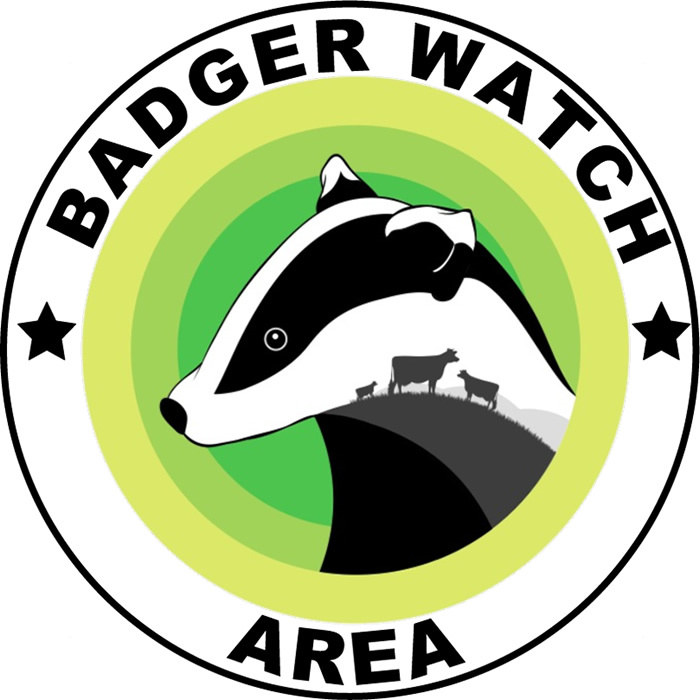 The Badger Watch sticker uses the main graphic from our Dorset for Badger and Bovine Welfare logo designed by local Graphic Designer Stu Jones and has even featured in the V&A exhibition of ‘Disobedient Objects’ – art and design produced by grassroots social movements. Anyone wishing to know more or volunteer to help, please contact Dorset for Badger and Bovine Welfare (we are allied with Brian May’s Team Badger and the South West Alliance for Badgers). If you’d like some of these stickers for your area please email dorsetbbw@gmail.com and we will send you the artwork and printing details or may be able to arrange to post some to you or you can collect from us. (Please do not stick them on the front of road or street signs, or on private property without permission). Thank you to everyone who’s already keeping an eye on their local setts and reporting any criminal activity to their Wildlife Crime Officer. If you see a wildlife crime in action dial 999, if it has already happened dial 101. The RSPCA helpline is 0300 1234 999. Dorset for Badger and Bovine Welfare had a very successful Valentines Day Public Outreach Event in Weymouth on Saturday 14th February, where a few of our volunteers asked locals to ‘HAVE A HEART FOR BADGERS’, and were spreading the ‘vaccinate not exterminate’ message. We handed out badger leaflets, packets of love hearts and ‘I Love Badgers’ stickers! Most people were very supportive and several recounted stories of how they fed the badgers in their gardens on peanut butter sandwiches. A heartfelt thanks to Animal Aid for their support with this event. A small group from DBBW also presented West Dorset MP Oliver Letwin with a special Valentines’ Day Card, and we are very pleased to see it featured in the Dorset Echo this week. Oliver, will you pledge to join us in our battle? What about Wales Oliver, we ask? What about cattle movement measures, improved bio-security on farms, testing and developing an effective cattle vaccination? We say, Oliver you’re not listening to the scientists – culling is cruel, costly and unpopular, but most of all it doesn’t work! Please send your letters and comments to the Dorset Echo at letters@dorsetecho.co.uk or read the full article and comment online here. 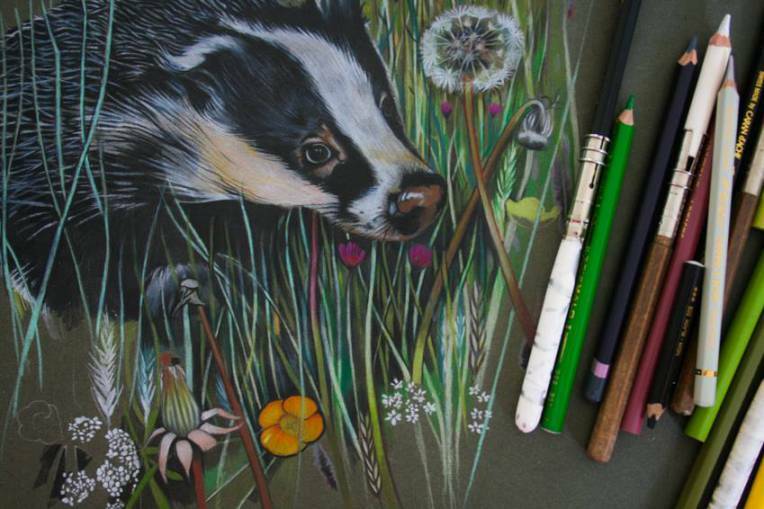 Compassionate Dorset have blogged about the amazing art work by the very talented local artist Sam Cannon, that has been donated to help groups like Dorset for Badger and Bovine Welfare and the Dorset Badger Vaccination Project protect and vaccinate our badgers. We’ve been busy attending lots of events this Autumn and Winter. Thanks to everyone for their support with our Christmas Markets at Exeter, Bridport and Dorchester and the sale of Dorset Badger Vaccination Project (DBVP) Christmas Cards. After taking off costs we raised the following amounts: £150.40 for Dorset for Badger and Bovine Welfare (DBBW), £90.00 plus £52.65 donations for DBVP and £130.00 from the sale of Christmas cards for DBVP. All proceeds are helping to protect Dorset’s badgers. Christmas is now fast approaching and we wanted to make sure you don’t miss last online order dates for the gorgeous badgerabillia below and cool cow art by The Compassion Collective / Compassionate Dorset. You can buy archival fine art prints – by the talented Sam Cannon as well as Anna Celeste Watson who co-founded Compassionate Dorset, and Stu Jones who designed the DBBW and DBVP logos – created and shipped direct from Compassionate Dorset at Etsy (where Compassionate Dorset members can enjoy 25% off!). Last orders for prints are Tuesday 23rd December by 10am. 50% of the sale cost is donated to DBBW / the DBVP to vaccinate our badgers right here in Dorset. 100% of the sale cost of Sam Cannon’s Limited Edition Signed ‘Badger (Injustice)’ prints also for badger vaccination. Super funky t-shirts are also available including by Jenny Lloyd and Ruth Burger – we recommend buying through Spreadshirt where last Christmas orders are this Wednesday 17th December (or Sunday 21st for Express Delivery). Cow / farm animal tees are sold in aid of the farm animal welfare charity Compassion in World Farming. There are also foxy t-shirts available in aid of our friends Hounds Off. 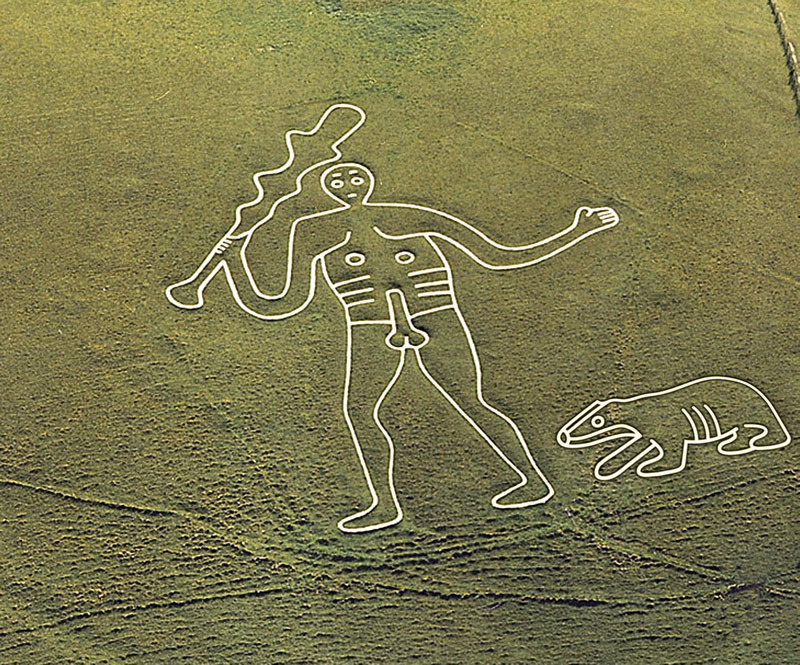 Our next group meeting is in North Dorset this time at Sturminster Newton. There will be a short meeting followed by a Christmas Social combined with badger watching. Please bring something to drink and/or a plate of finger food to share.